The outskirts of IT city Bengaluru will soon see a new facility being set up by aerospace major Boeing that will be used to manufacture aircraft components and subsystems. 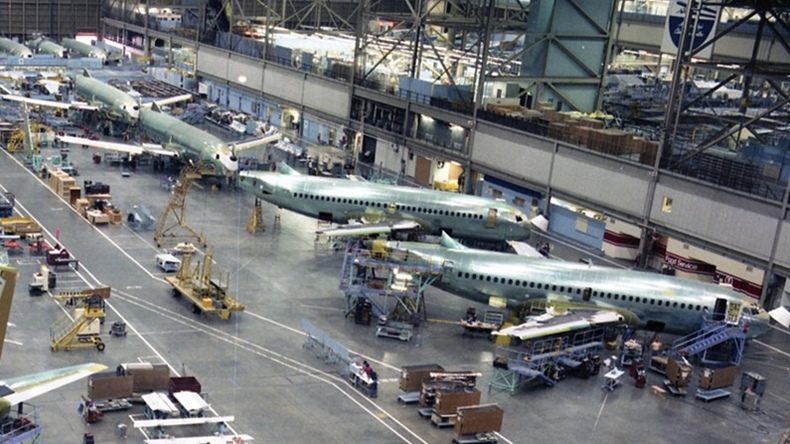 "The state government on Monday approved Boeing's proposal to set up an engineering and technology facility with electronics and avionics manufacturing and assembly at an investment of Rs 1,152 crore," said Karnataka Udyog Mitra Managing Director B.K. Shivakumar. The facility at the outskirts of Bengaluru will be built in 41.7 acres of land that has been allotted to the American firm. Global aerospace major Boeing would make aircraft components and subsystems at a new facility it would soon set up on the IT city’s outskirts, a senior official said on Tuesday. “The state government on Monday approved Boeing’s proposal to set up an engineering and technology facility with electronics and avionics manufacturing and assembly at an investment of Rs 1,152 crore,” Karnataka Udyog Mitra Managing Director B.K. Shivakumar told IANS here. The facility will be built in 41.7 acres of land the American firm has been allotted in the Aerospace Park at Devanahalli, about 40km from the city, and adjacent to the Bengaluru international airport. “When commissioned, the Boeing facility will provide 2,300 direct jobs and many more indirect or associative jobs,” said Shivakumar. The aerospace behemoth, which makes various types of aircraft for civil and military operations worldwide, has a global research and development centre in the city since a decade. The high-level high committee of the state Industry Department also approved the proposal of CDC Development India Ltd to set up a Technology Innovation International Park in the hi-tech, defence and aerospace Park at a cost of Rs 740 crore, with an initial job potential for 25 high-skilled techies. “CDC has been allotted 100 acres of land in the Aerospace Park to build its tech park,” said Shivakumar. Universal Builders has been allotted 21.3 acres of land in the hardware park area of the aerospace park at a cost of Rs 525 crore for a housing project. The committee has also cleared the Indian Coast Guard’s proposal to set up a training centre at Mangaluru, about 350km from here, at an investment of Rs 1,010 crore. “The training centre will be built in 160 acres of land in the New Mangaluru Port Trust at Panambur and will create 250 direct jobs,” added Shivakumar.